We are giving away 40 John Deere™ riding mowers from Heritage Tractor! Every half-hour, one guest will win a John Deere™ Riding Mower. 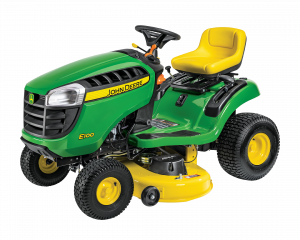 At 5 PM each Sunday in April, TWO guests will each win a John Deere™ Zero Turn Mower! Starting March 24, receive a bonus drawing ticket for every ten points earned. Reactivate drawing tickets each promotional day for more chances to win!